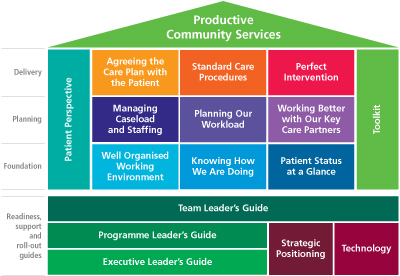 The following resources are designed to support the implementation of Productive Community Services and should be used as you work through the modules. Full guidance of when and how to use each of the resources is included in the relevant module. Click on the relevant module of the Productive Community Services house to view the resources.